A lot of "B"s in one interview playing today at the Beeb. 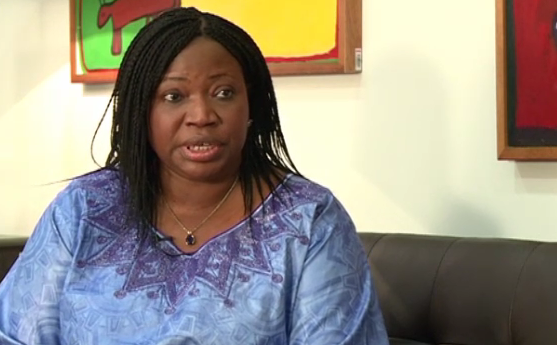 Interviewed was Fatou Bensouda, who will become Chief Prosecutor of the International Criminal Court on July 1. The name of Bashir of course came up. That would be Omar al-Bashir, who has remained President of Sudan despite the years-old ICC warrant for his arrest. Some countries that belong both to the ICC and the African Union have allowed him safe passage; recently, one of them, Malawi, has reversed course and sought to ban Bashir. '[T]he step that Malawi has taken is very encouraging. We have of course had other African countries that have done similar things. I think Botswana has been very consistent in the position of arresting Bashir if he were to go to Botswana. This comment moved conversation to another name, Bosco – Bosco Ntaganda, charged with war crimes when he, like his then-co-accused, Thomas Lubanga, was a Congolese rebel leader. Lubanga awaits ICC sentencing, having been convicted of recruiting child soldiers. Ntaganda managed not just to escape arrest, but also to become a general in the government's army, and so to wield much power. Earlier this month, the ICC added charges against Ntaganda, who reportedly "mutinied" in April and is now forcing children to join his new combat against the government. Finally the BBC interview of Bensouda evoked the name Barack – President Barack Obama, who's deployed U.S. troops to Uganda to aid "the removal of Joseph Kony from the battlefield." On this, Bensouda reminded that the ICC relies on states to execute its warrants, including the years-old one for Lord's Resistance Army leader Kony, subject of a NGO-issued viral video, about IntLawGrrls have posted.